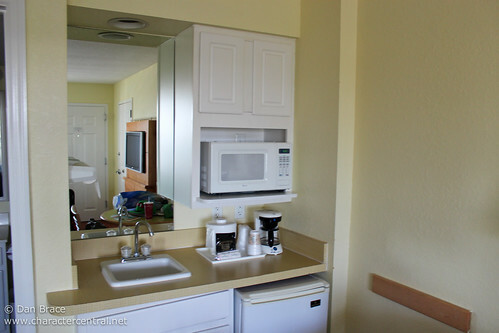 For our September 2012 trip to Florida we decided to stay offsite for a night so that we could go to Universal Orlando Resort for 2 days (see my trip report for that here). The idea was that by staying offsite and having a hire car it would force us to go to Universal, which, for the longest time we had put off and pushed back. Staying outside of Disney meant we HAD to go! The choice of hotel, and for me, the deciding factor in staying offsite for a night came down to certain offerings at one hotel in particular. Nickelodeon had recent bought the rights to the Ninja Turtles, and had commissioned a new series, which at time of writing hasn't yet started. 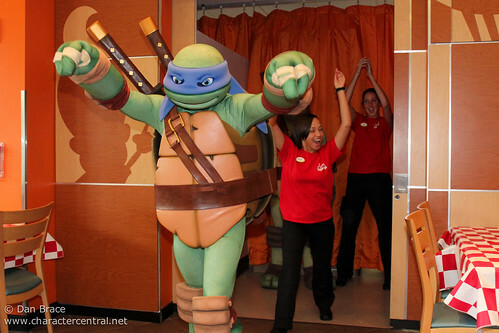 So, they were going to be featuring the Ninja Turtles as characters at their Nickelodeon Suites Resort hotel in Florida, starting in the summer. 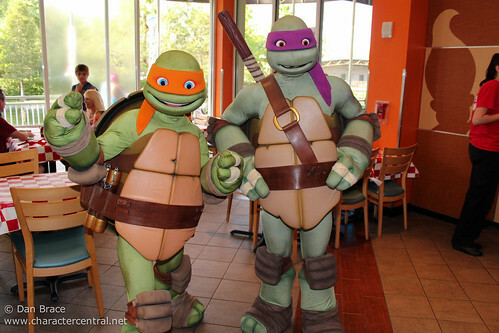 For anyone who knows me well, will know that my childhood heroes, and favourite characters of all time are the Turtles. No questions about it. I would have given a limb to meet them as a kid, and still would have - and here they were in Orlando! They would be featuring at a special buffet meal at one of the hotel's buffet restaurants. That was it, the hotel was booked and we called a couple of weeks beforehand to make our dining reservation to ensure we dined with the Turtles! As I had already discussed in my Universal trip report, we hired a car from Disney (click here to read about that), so that we could check out of the All Stars and drive directly to the Nick Hotel. 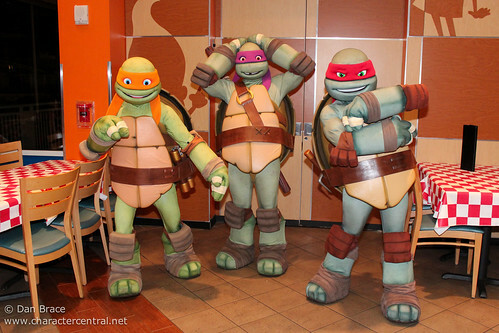 We arrived early to check in because we were going to Universal for the day, and returning later for our special Turtles meal. 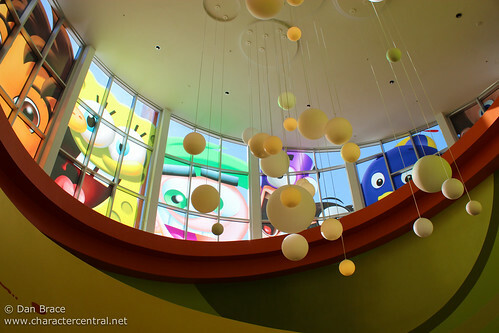 The outside of the hotel is fairly standard looking, but has some bright colours and pictures of various Nickelodeon cartoon stars around the top. 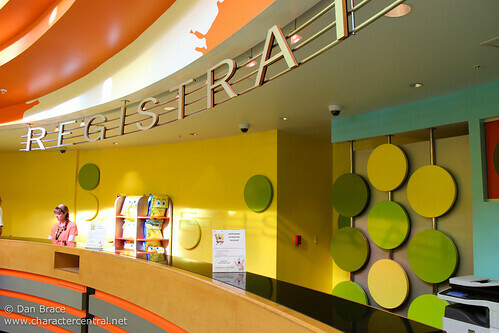 When you walk into the lobby you are hit by the bright colours! Check in was as simple as any other hotel, and then you are directed to the information desk to find out all about the hotels diverse entertainment programme. At the information desk you can find out about their shows, character breakfast, other family entertainment, character dinner and character meet 'n' greets that take place throughout the day. I have to say that we were quite impressed with the range of entertainment and other things offered. We were a little sad that we wouldn't have the chance to experience it all, as we only had a limited time to go to Universal during our one night away from Disney (and of course Universal had to take priority over the hotel). Once we had our room key, we headed upstairs to the suite. I have to say that I was expecting a little more in the way of theming. Maybe I've been a Disney die-hard for so long that I compare everything against it (lol), but being that this was a Nickelodeon Hotel and was heavily family orientated, I expected the suite to have fun colours and pictures on the walls. Now don't get me wrong, the room was spacious, had good facilities (bunk beds for kids, kitchenette, living area etc), and for the money you couldn't complain. 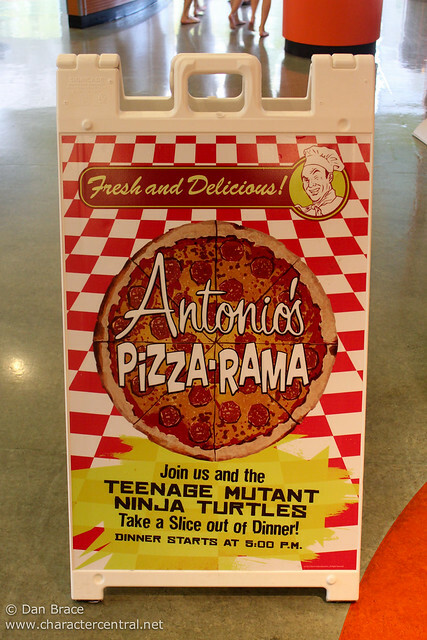 It's just that I expected it to be Nickelodeon themed. Guess you can't expect everything! All the main hotel facilities were located in a separate building to the main lobby, which they called the Mall. Outside of the Mall there were regularly scheduled busses to all the local Orlando theme parks (Disney, Universal, SeaWorld etc). When you go inside, once again you are hit by the hideously bright colours (ok so it wasn't THAT bad, but there is only so much orange and green I can take lol!). Overall though it is a great space. 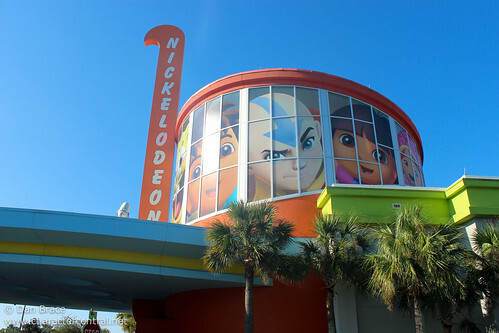 They have a Nickelodeon 3D attraction (pay activity), a large gift site selling a wide range of Nick products, several counter service eateries, including some major chains, an arcade, and two hotel run buffet restaurants. One of those was where they have the Turtles dinner. The same restaurant is also used for the character breakfast. During our time at the hotel that morning and that evening for dinner, we came to see that it was a great place for families. It is where all the characters had their meet 'n' greets. While we were there we saw lots of characters meeting, including SpongeBob, Sandy and lots of other Nick characters (my memory fails me right now as to who else, but there were a lot more!). 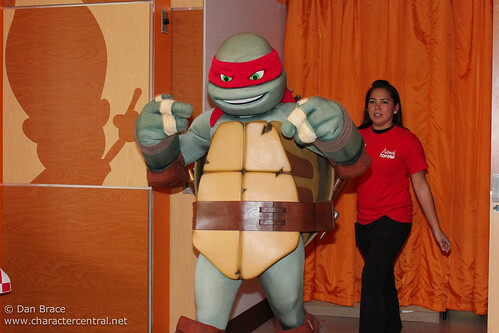 But of course, our main reason for choosing this hotel in particular for our Universal side-trip, was because they had the Ninja Turtles there for a special dinner buffet! I'll be honest with you, I'm not sure that it is humanly possible to be any more excited than I was! The Turtles are my lifelong heroes, as I had said before. 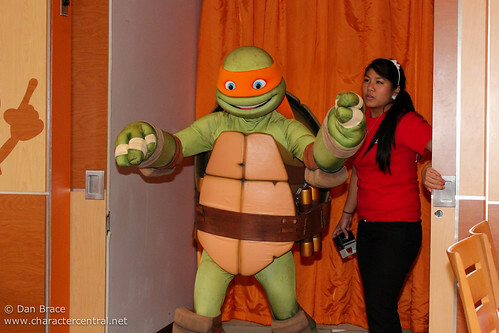 I was wearing my Turtles t-shirt, had TWO Turtles hats with me, my autograph book, and of course my camera with spare batteries and memory cards in case something disastrous happened! Our reservation was for the opening time of the restaurant, which was 5pm. The host could see I was there to meet the Turtles and how excited I was, and so gave me what was normally reserved for kids... Turtle eye masks! I got 2 of each colour! Now I was REALLY set! LOL! We were shown to our table, and we specifically asked for one where we could see the Turtles coming in and out, so we could grab extra pics - and so the Turtles could see me in all my Turtle gear and might pay me more attention! LOL! The hosts were very accommodating. The Turtles didn't start their meets until 5.30pm, and we were told we could head to the buffet. Jon did, but I simply couldn't eat! 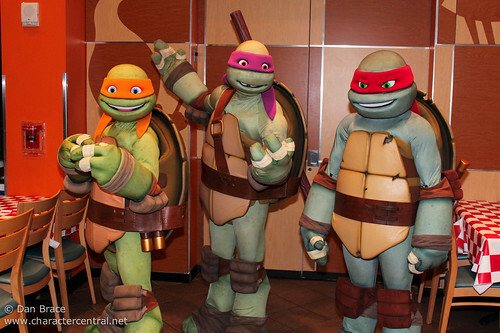 I was so anxious, I couldn't do ANYTHING until I had met all four Turtles! 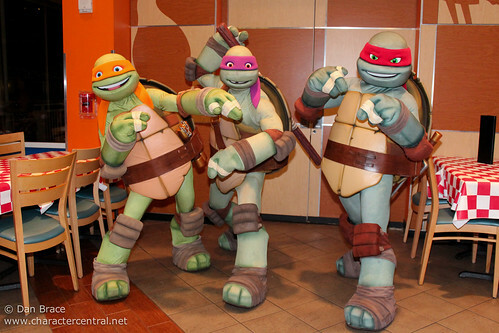 When the Turtles appear, they come out as a group, do a small show around the dining room, showing off their ninja skills, and then two of them return for a pizza break, while the other two work their way around the room. They work in half hour rotations, so half an hour later, the other two would appear again, they would all do the mini show, and the two new ones would stay, and the others would leave for a pizza break. Aside from the fact I was fulfilling a lifelong dream, and we could have been sitting in a baron wasteland for all I cared (LOL! ), I have to say that from a guest point of view, as a whole experience was FANTASTIC. The hosts, servers, Turtles, food was all completely excellent. Jon and I have only the highest compliments for the team in that dining room. The entire experience was a complete pleasure from start to finish. 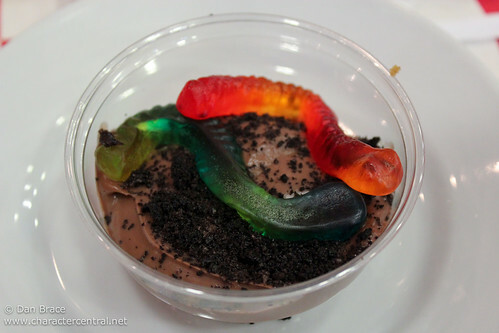 I actually think that Disney could pick up a thing or two from them about how much fun a character meal should really be! 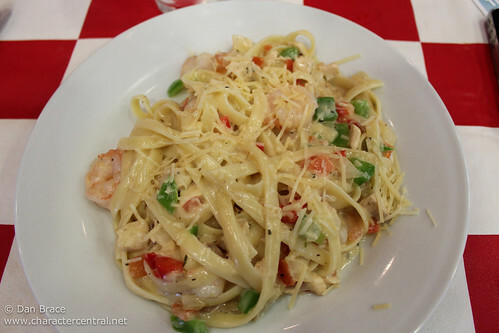 The food was great, the price was really good for character dining - and we even got an "early bird" discount because we were seated before 6pm! Amazing from start to finish. 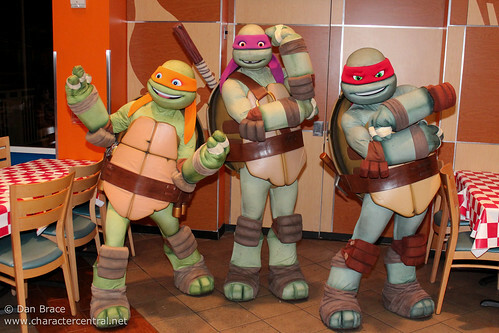 Eventually, of course, we met all four Turtles, and I could finally calm down enough to go eat some food! 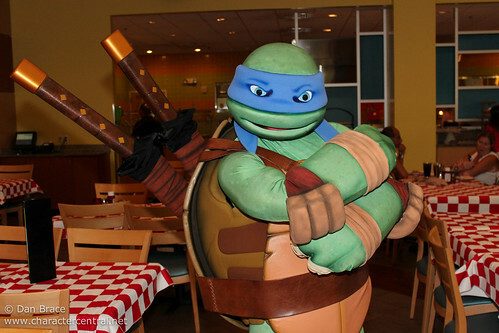 Michelangelo even let me feed him some pizza! So now my life is complete. 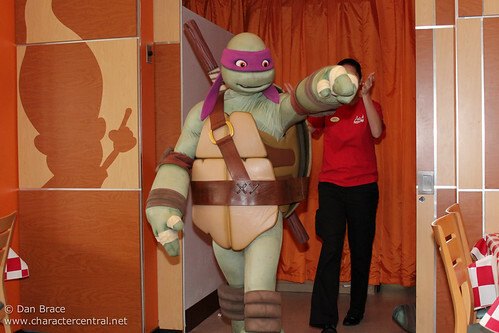 I have not only met the Turtles, but I FED Michelangelo his favourite food! LOL! 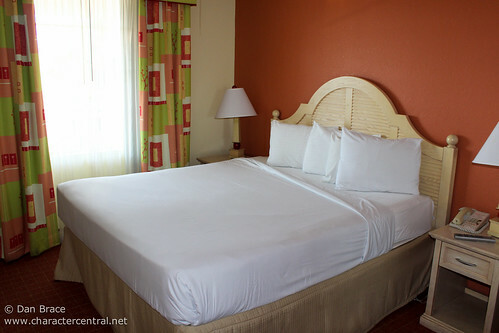 Overall our experience at the Nick Hotel was completely wonderful. 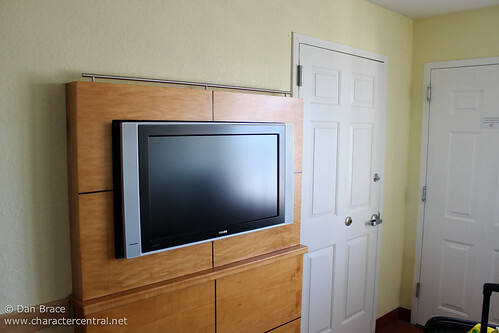 I know I said the theming could use some work, but for the price of a two bedroomed suite, and the activities, characters and facilities they offer, it is an amazingly good value family hotel, right in the heart of Lake Buena Vista.